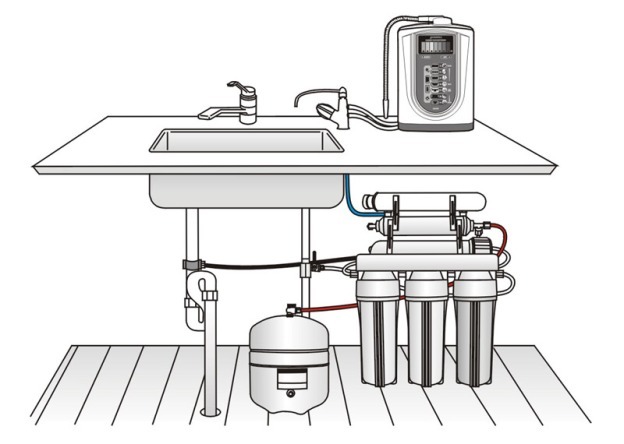 More and more people understand that the "perfect water" system would combine the purity of Reverse Osmosis (R/O) and the tremendous benefits provided by alkaline, ionized water. Historically this has not been easily achieved for a variety of reasons. Our water technology experts at PurePro have solved the problem of combining these two phenomenal yet very different water technologies. 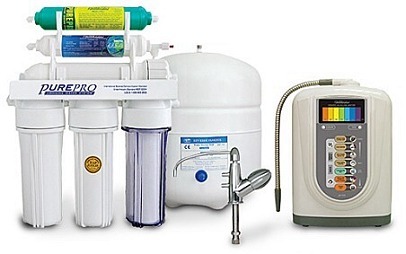 Now you can have perfectly clean AND perfectly healthy water by installing RO system with water ionizer! Water Ionizer is one of the greatest preventative health advances and technological marvels of the 21st century. Alkaline ionized Water is a powerful Antioxidant providing the body with tremendous amounts of oxygen and therefore lots of Energy. It is very Alkaline and helps neutralize and flush acid waste from the body, which can encourage disease. It is a superior Hydrator and Detoxifier because Ionized Water molecule clusters have been "reduced" in size (from 10 to 5) and therefore is "lighter". Alkaline Ionized Water's smaller size allows it to hydrate your body more effectively, pushing out toxins as it easily passes through your body's tissue. 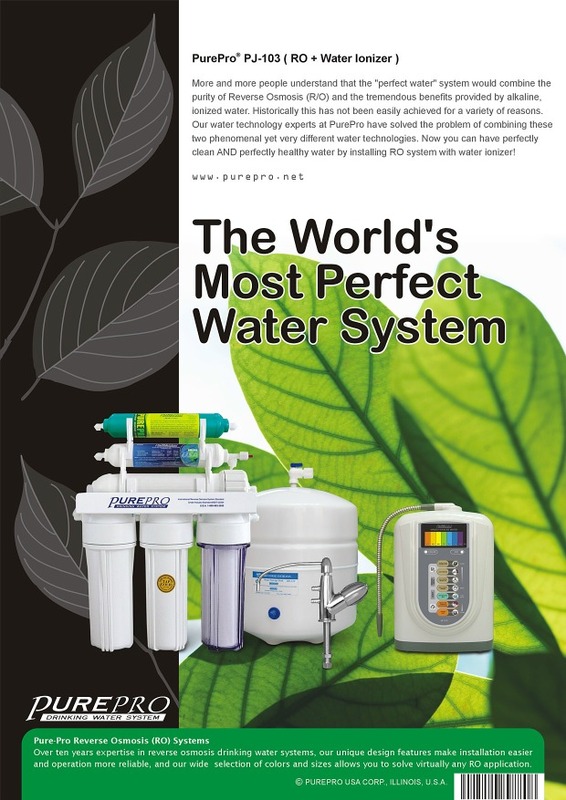 PurePro Water Ionizer is currently being manufactured in Taiwan and is one of the best selling water ionizers available in the USA. It had the patent and awards throughout the world (Japan, Taiwan, Australia...etc) It is an extremely popular unit because it is an affordable extremely high quality unit. Why are so many people excited about Water Ionizer? Why its popularity is rising?